When you swim in chlorinated bodies of water, such as pools and hot tubs, you expose your hair to harsh chemicals. These chemicals can alter your hair's molecular structure, and if you have light-colored hair, you may end up with a green tinge. Although you can purchase specially formulated shampoos and conditioners for swimmers, you can get rid of chlorine on the hair naturally. To prevent further damage, wear a cap while swimming. Wet the hair before swimming. Moistening the hair with nonchlorinated water before you take a dip can reduce the amount of chlorine absorbed by your mane. 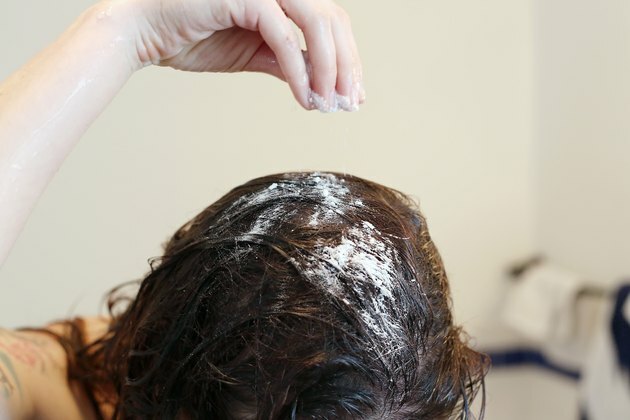 Place baking soda on the hair after swimming to keep the hair from becoming damaged because of chlorine exposure. Sprinkle enough baking soda to cover the entire area. 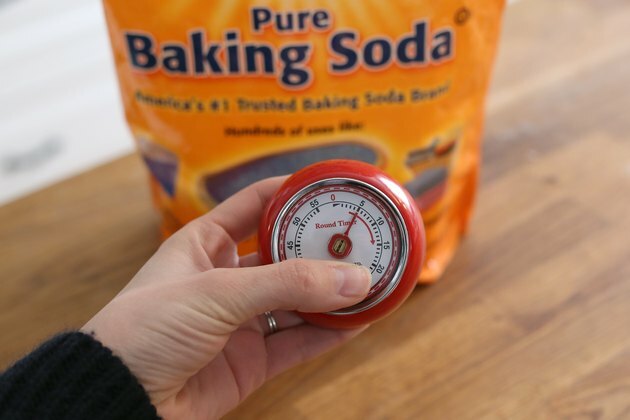 Leave the baking soda in place for five minutes. Rinse out the baking soda with club soda. 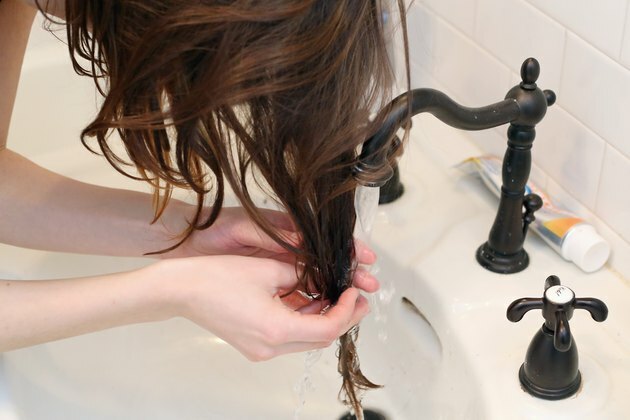 You may need a liter or more depending on the length of your hair. 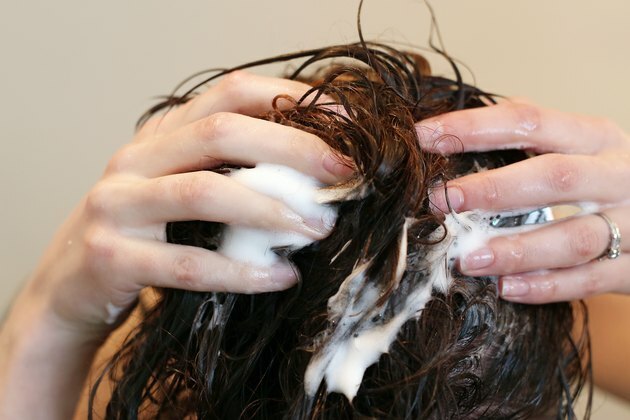 Shampoo the hair as you normally would, and use lukewarm water to keep it from drying out. 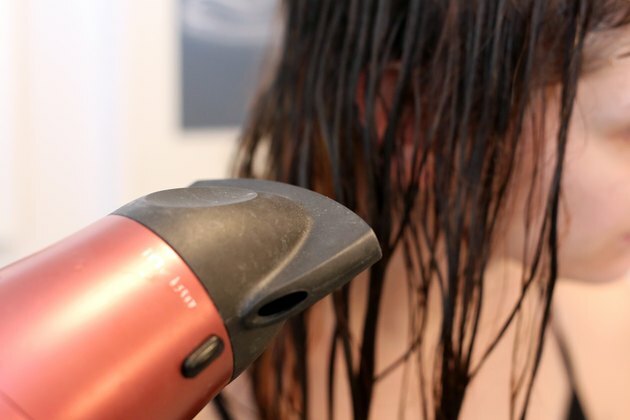 Allow hair to dry naturally, or use the blow dryer on the lowest possible setting to avoid additional damage to the hair. Chlorine can dry out the skin as well. Remember to moisturize after swimming in a chlorinated body of water. You can use a natural moisturizer such as mineral oil. If you do decide to use shampoos and conditioners to remove the chlorine, you can choose organic options that use natural ingredients. Brands include Aubrey Organics and Tri-Swim Shampoo. Ingredients found in these products include aloe vera, vitamin E, vitamin A and sea kelp to remove chlorine and copper as well as moisturize hair.